Taking a break from the Hong Kong & Macau 2013 stories, Motormouth is kicking back in Ipoh; relenting to temptations of this lazy, charming hometown of mine. A dark-coloured wall is a splendid canvas for dynamic graffiti; seasonal rotations like the Christmas-inspired drawings including a minion with Santa’s hat is up now; and creativity flows fluid with a bunch of youngsters running the place. 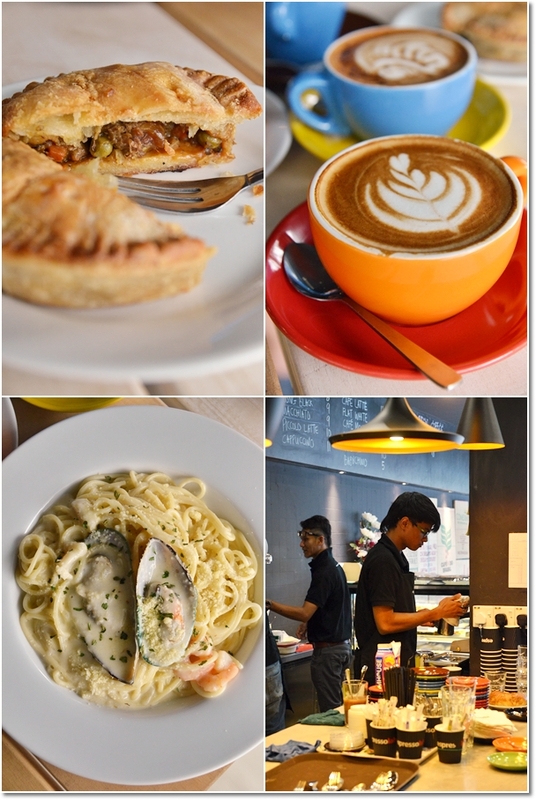 More suited for the in-between meals; breakfast and tea time, Espressolab Ipoh Garden has recently added a few savoury mains to their lineup; no thanks to the omnipresent urge to indulge in Ipoh. No cakes or pastries will do for the famished soul. 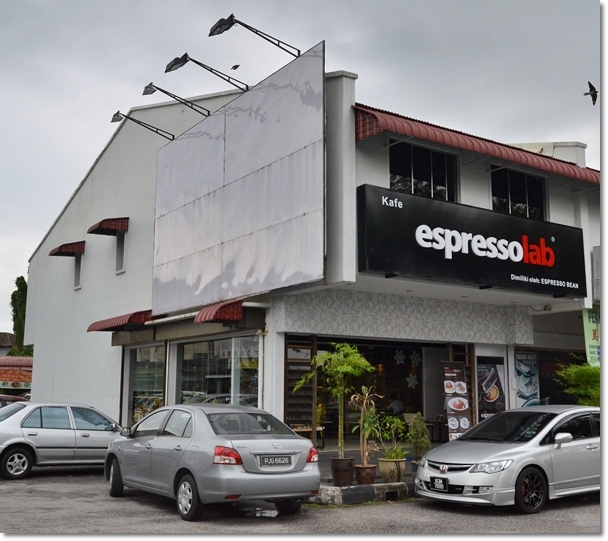 The only cafe thus far that diverges from the other ‘labs’, this Ipoh Garden branch is the sole outlet that warms their coffee to 75 degrees as compared to more common 60-65 degrees elsewhere. 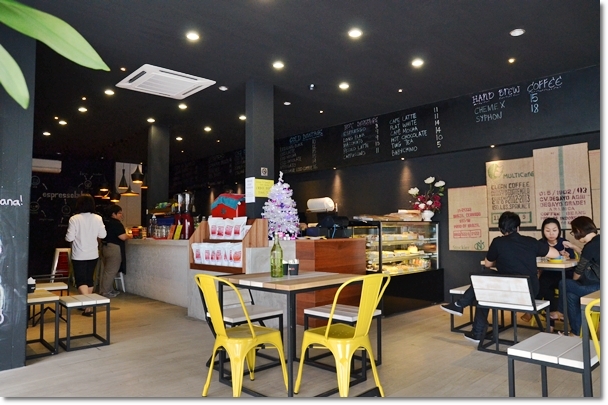 Sean, the owner commented that the white coffee-loving community prefer theirs to be piping hot if possible, hence the higher temperature of the water used in brewing the coffee. The cafe can comfortably seats up to a crowd of 20 at most, hence it’s also wise to pick your timing if you intend to grab a book, capitalize on the natural sunlight and enjoy your cup of coffee. 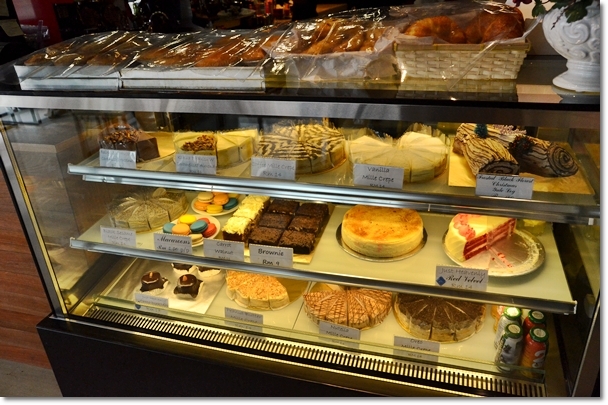 They source some cakes from Just Heavenly, while the mille crepe cakes are from an in-house source of espressolab’s, supplying to all outlets. Not cheap though, at about RM14/USD5 per slice. 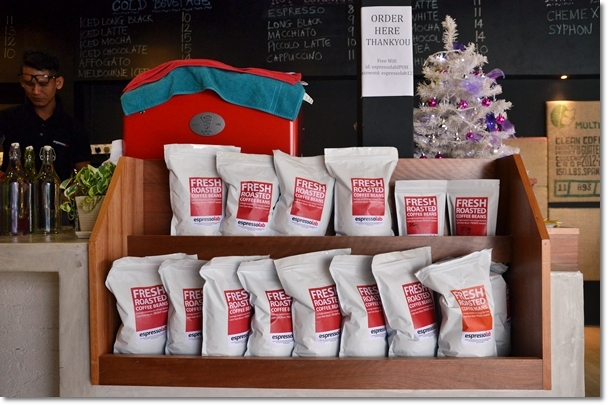 The fresh roasted coffee beans (from Roastwerks; their ‘plant’ over in Sunway Damansara spanning a cool 2000 sq ft) are up for sale only at their retail outlets. The Beef Pie (RM10/USD3) and Seafood Carbonara (RM18.90/USD6) are two savoury options for a more substantial meal, yet both missed the mark. I suggest that you should stick with the coffee and cakes for the time being. 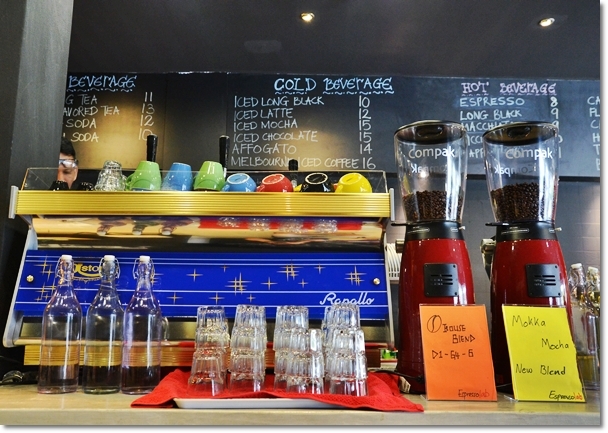 Recently, Espressolab added 3 mains to their repertoire; more so to please the lunch crowd. A bolognese, a lasagne and a carbonara. All ready-cooked options; reheated immediately prior to serving. The Seafood carbonara came with two shrimps and two mussels, but the creamy sauce was slightly off; a clear differentiation case of pasta not cooked on the spot. 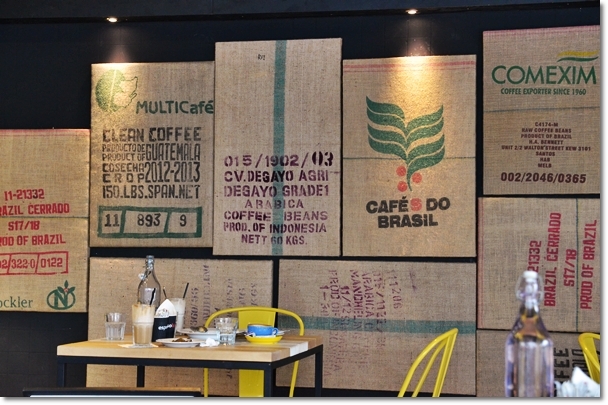 They have to make do with the lack of kitchen space; much like other cafes out there. The Beef Pie was another miss; this was sourced from a local supplier apparently. The few chunks of beef had more fats than lean meat on them, and the pastry skin lacked that buttery fragrance and taste. They have Chicken Pies as well, so that could be a safer choice. Thankfully, the Nutella Mille Crepe (RM14 per slice) did not disappoint. Aside from that flavour, they also sell durian (not in the same chiller, so you have to ask), peanut butter, chocolate, green tea, vanilla, etc). 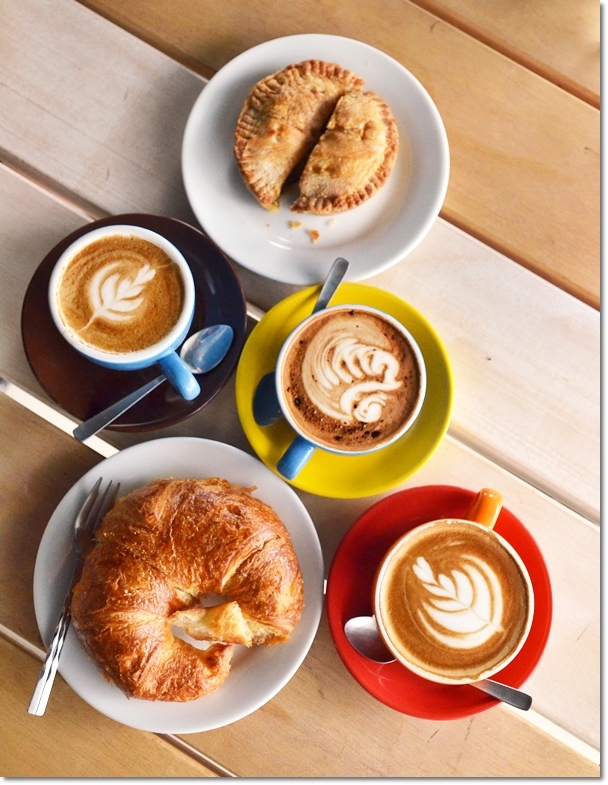 The best food item we shared was the simple Butter Croissant/Gipfel (RM6/USD2) per piece; that although comes only in 1 flavour (unlike Allegra’s impressive pistachio cream or coffee), went really well with their coffee. The latte, cappucino and mocha we sampled were all excellent testimonials of their fame. Priced between RM 8 (for espresso) to RM 14 (mocha) per cup, the coffee here don’t come cheap, obviously. But my cup of latte was definitely the best that I have had thus far in Ipoh; though that doesn’t make much of a statement since specialty cafes are not a dime a dozen yet, compared to Klang Valley. 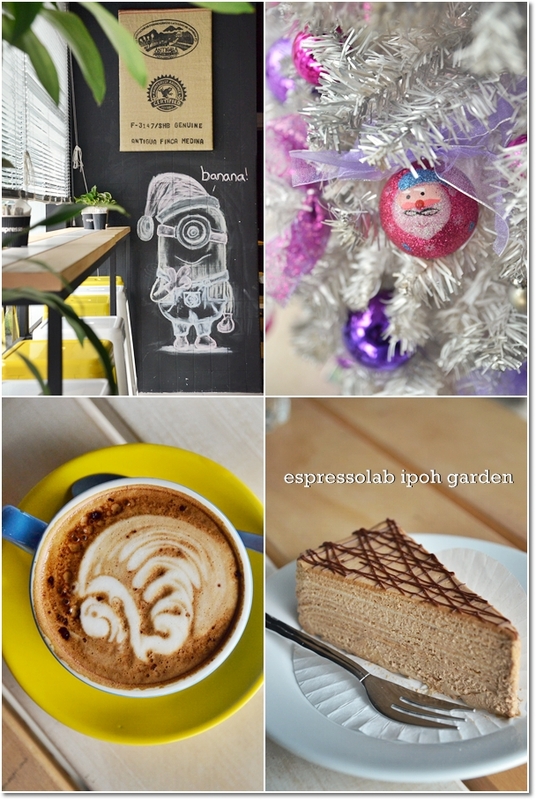 Espressolab Ipoh Garden – Go for their coffee and cakes. Soon, they will add Christmas cookies, macarons and cakes to their festive repertoire. Business Hours : 10am – 7pm Sundays – Thursdays, 10am – 10pm on Fridays & Saturdays. Ya, I agreed the coffee was good. My daughters said it’s the best they hv tasted in Ipoh. Unfortunately the Seafood Carbonara was up to our standard. We ordered 3 plates and the first order came with watery sauce. Waited for another 15 mins for the other two and it’s much better with more thicker sauce. Method of cooking not consistent. Wow! The croissant looks simply divine!! Wow, thanks for sharing. 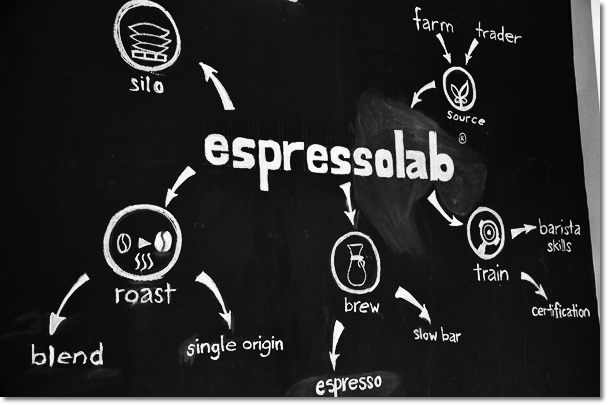 I shall try when I am home in Ipoh as I love the espressolab coffee in KL. “There are deep-rooted reasons why some people fail with diets.